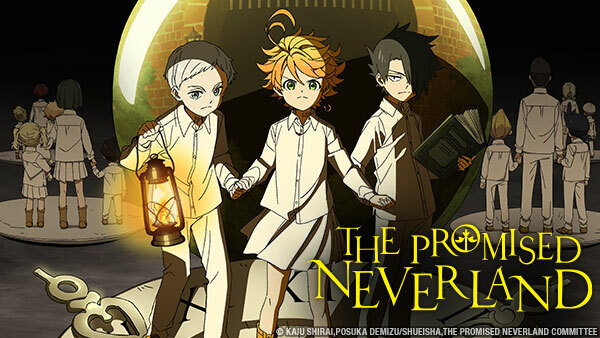 Sign up now to stream The Promised Neverland, subs, tons of dubs, OVA's, simulcasts, plus the all new Dubcast℠ editions and more! Discussions for the escape plan continue, and Emma introduces Ray and Norman to someone. Meanwhile, Don and Gilda take a dangerous risk. Emma and Norman spend their day preparing for their escape, but they also find some eerie things about Mom. Emma, Norman, and Ray figure out that there may be a traitor among the children, an informant for Mom. As Norman attempts to solve this mystery, Emma notices something strange about Gilda. As Norman confronts the traitor, Emma and Gilda are keeping a watchful eye on Mom, and discover that she disappears somewhere, every night at eight o'clock. The children gain a powerful ally, but they need to be careful with this person. Who knows what this person could be plotting behind the children's backs? Ray will attempt to distract Mom while Emma and Norman go to inspect the wall. Gilda and Don are keeping a watchuful eye on Ray, but will everything go smoothly? Ray and Emma haven't spoken to each other for nearly two months. With Ray's shipment approaching, have they really given up? In the midst of despair, Emma finds Ray in the library. As Emma and Norman continue to surprise Ray, the fated night finally arrives. As Phil holds on to Mom, what will he say?